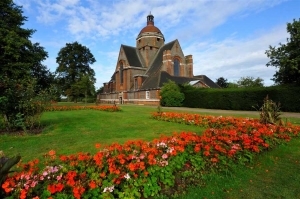 Hampstead Garden Suburb is in the borough of Barnet in North West London and is in postcode area NW11. Ladybirdz mobile beauty therapy has clients in this area and the whole of Hampstead. It not only has some of the most beautiful houses in London it is very peaceful and quiet with lush green parks and trees. Being in this area you could easily forget you are so close to central London as it feels as if you were in the countryside instead of being in a big busy city. If you are close to Golders Green it is worth taking a short drive or walk through here just to see the beauty of it. Ladybirdz is proud to offer its full treatment list within the Hampstead Garden Suburb area and the whole of NW11 and the surrounding areas. With a number of its clients in Hampstead Garden Suburb and the most popular treatments being pamper parties, massage, pedicures, eyebrow shaping, eyelash tinting, manicures, Bat Mitvahs and spray tanning. I will travel to your home or place of work so you can relax and enjoy your pampering treatments in your own surroundings, so why not call Ladybirdz now!